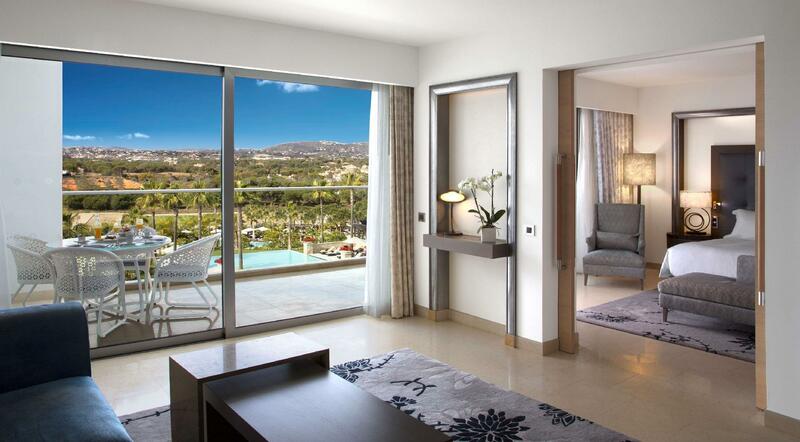 ﻿ Conrad Algarve Hotel, Almancil | FROM $257 - SAVE ON AGODA! "Our third stay to visit family and would return." 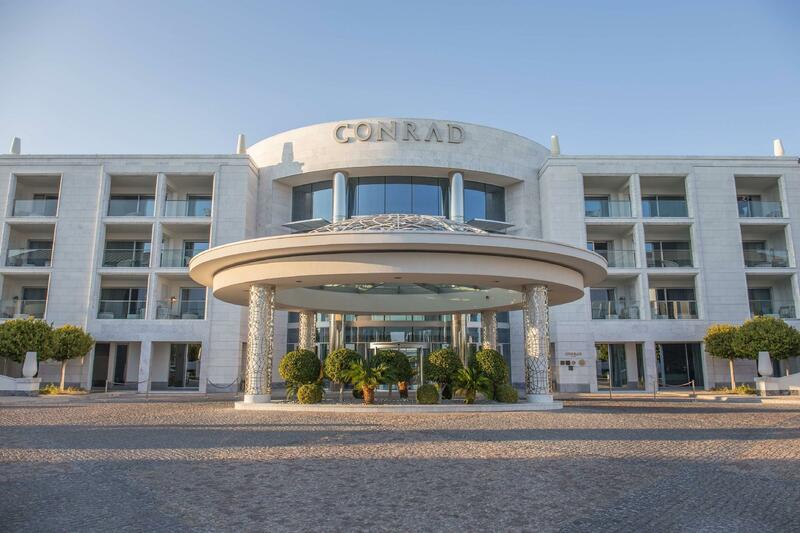 Have a question for Conrad Algarve Hotel? "Nice that wifi is fast and free and the rooms are well appointed." "overall the hotel is excellent and we shall return." "Wonderful staff service and excellent food throughout." 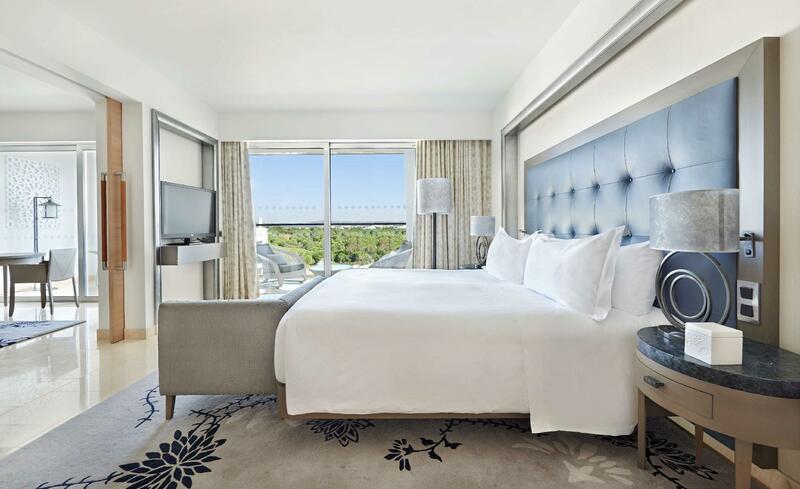 Set in the stunning coastal and southernmost region of Portugal, Conrad Algarve Hotel offers a luxurious accommodation in Quinta do Lago, a world-famous destination with its golf links, breathtaking beaches, and the sanctuary of Ria Formosa Natural Park. 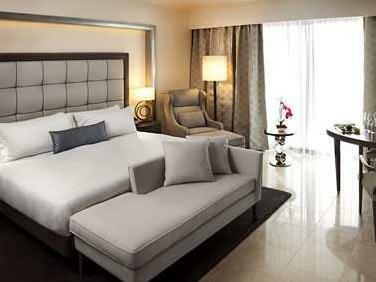 Conveniently set just 20 minutes from the airport, this high-end resort features spacious, well-appointed guestrooms with modern designs that guarantee to satisfy the most discerning travelers while its extensive list of facilities, including golf simulation, signature restaurant, and decadent spas, ensure an enjoyable and pleasant time throughout your stay. "The bed was very comfortable and I managed to get a good nig..."
Our third stay to visit family and would return. Wonderful staff service and excellent food throughout. Nice that wifi is fast and free and the rooms are well appointed. Possible improvements might be a redesign of the bathroom door - its impossible not to disturb a sleeping partner if you need to use it at night. Also its a shame that use of the spa is not included in the room rate as it is in most five star hotels. But overall the hotel is excellent and we shall return. From check in to check out, all staff ensured that I felt valued. I had previously stayed at the hotel in September 2017 and Raul even remembered my name and the fact that I was there celebrating a birthday at that time. Also, nothing was ever too much. Staff ensured that my comfort and enjoyment was their priority. At check in, which was well ahead of my scheduled arrival time, I happened to mention that I was hungry and tired. Before I knew it I was provided with a pot of tea and a basket filled with lovely pastries. I was also told that my room was ready and that I had been given a free upgrade. I would say that this was customer service at its highest level. My allocated room- 410 (king delux with pool view), was all I could have wish for. It was immaculate and very welcoming. The bed was very comfortable and I managed to get a good nights sleep. I really liked the extra touches provided like the speciality coffee machine; the tv in the bathroom; the well hidden kitchen...! Nothing bad to say about this hotel my 3rd visit, gets better each time. Their staff service and training are superb ! 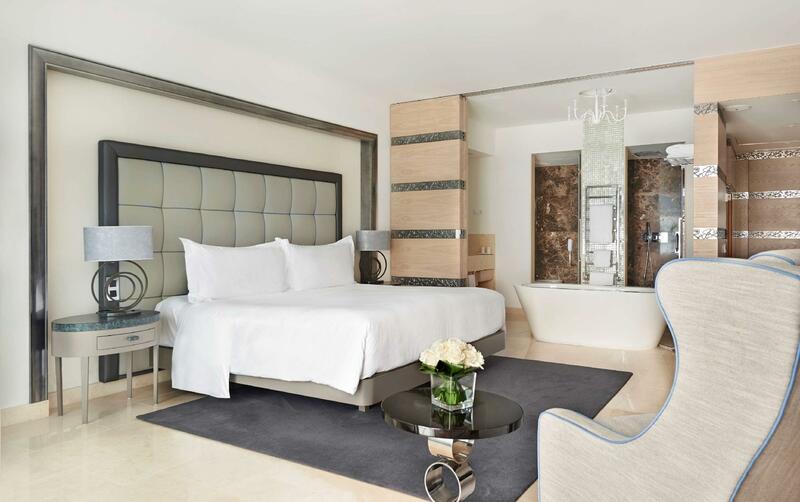 Conrad Algarve is an impressive, beautiful resort with excellent onsite facilities and attentive, friendly service. Our family (parents and a 2.5 y.o.) went during the low season, which in a way was very nice as it was quiet and relaxing, but perhaps a bit lacking by way of ambience or being able to take advantage of the full range of facilities (outdoor pools, restaurant options...etc). But there was still certainly enough to keep things interesting (gym, children's activities, spa, sunshine(!)). Location-wise, it's in a rather isolated location which we probably didn't fully appreciate as we are not golfers. There is a little shopping village just opposite the hotel which provided some extra eating options but not too much. It's about a 20min taxi ride to Faro which I would definitely recommend as a day trip. Overall we had a wonderful holiday here and the warm, friendly and helpful staff really made a great impression. Desayuno abundante. Personal atento. Excelente decoración. A pesar de que el hotel es totalmente nuevo, no se apreció que el personal estaba en rodaje. Las habitaciones son fenomenales, muy espaciosas y con excelente decoración. Tiene dos cafeterías bastante modernas y en el exterior dos piscinas -- una de ellas estilo infinity. No nos pudimos bañar, pero también tienen una piscina cubierta. La zona es muy agradable, pero en diciembre estaba bastante tranquila. Está justo en frente de un centro comercial tipo "village", en Quinta do Lago.